Are you ready to see country’s favourite group live?? That’s right, the Rascal Flatts are BACK in 2019, hitting the road with an amazing rotating line-up of support acts!! With the special guests for the event yet to be confirmed, they’re performing at the Shoreline Amphitheatre on Thursday 25th July 2019 – don’t miss out!! 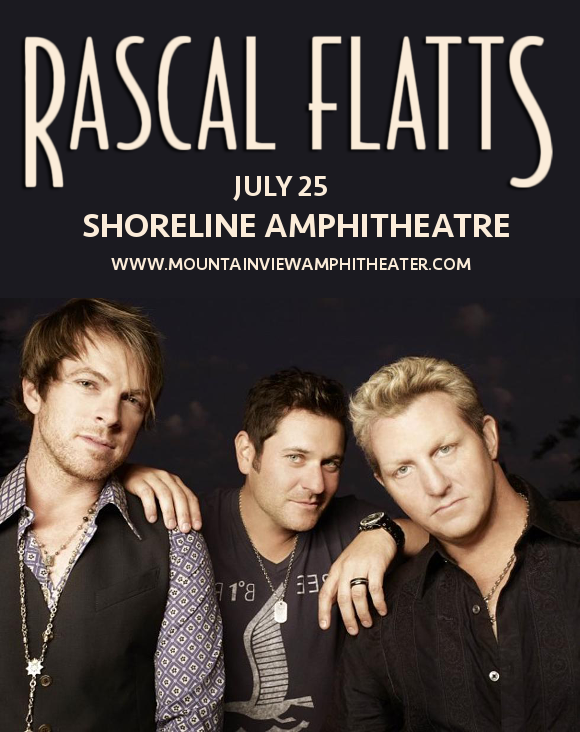 Hurry and get your tickets to see Rascal Flatts NOW, while they last!! After last year’s phenomenally successful tour with Dan+Shay, Rascal Flatts have wasted no time making plans to hit the road again in the new year. This time, the support will include Lee Brice, Billy Currington, Jordan Davis, Jimmie Allen, Morgan Evans and LoCash, the exact line-up rotating dependent on dates. As you can see, whichever acts end up performing on the 25th July, you’re in for quite a treat! We second that!! Have you got your tickets yet?? Be quick – they aren’t going to be around for long! !